Rent Alta CA | Corporate Events | Wedding Locations, Event Spaces and Party Venues. 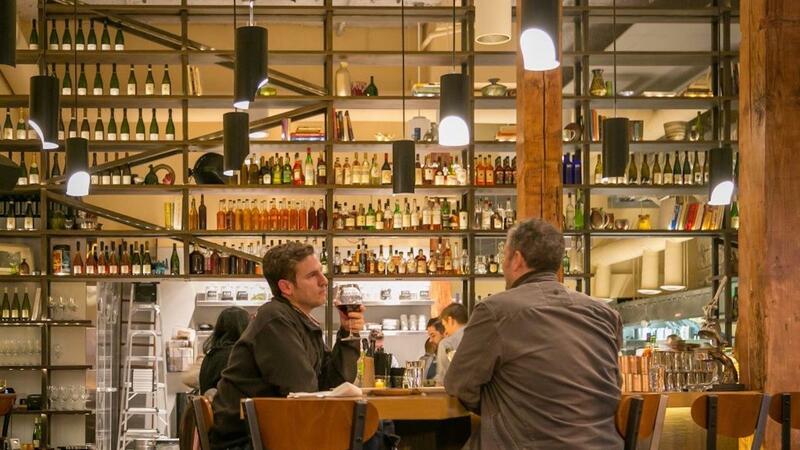 Alta CA is a neighborhood restaurant and gathering place in the heart of San Francisco that celebrates the best of California’s diverse ingredients and cultures through inventive fare and spirited drinks. We believe in exceptional quality, craftsmanship, and the magic of truly tasty things. We exhibit paintings and sculptures created by the artists of Creative Growth, a visual arts center in Oakland providing adults with developmental, mental and physical disabilities opportunities to create and explore. Alta CA is a vibrant, modern San Francisco restaurant and bar. Featuring lunch, dinner, and late night menus made from the best locally-sourced ingredients, this is the perfect spot for special occasions and business entertaining. Host a cocktail reception at our bar with standing capacity for 40 guests, or a seated lunch or dinner of up to 30 guests in the main dining room.